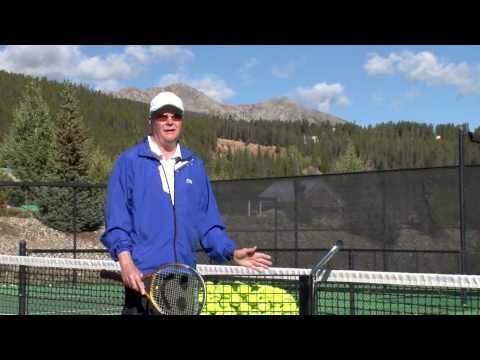 What To Do > Colorado > Breckenridge Summit County > Activities > Breckenridge Recreation Center - Only Clay Tennis Courts in Summit County! The new Breckenridge Tennis Center is a stand-alone 17,000 sq. ft. indoor tennis facility with two courts for year-round indoor play. The building is surrounded by 3 new hard courts (opening July 2018) and Summit County's only clay courts. Try a clinic, offered nearly every day for all levels of players or join the weekend doubles club. Certified tennis pros organize leagues and coach private and group lessons. Convenient online court reservations save 25-50% on walk-in rates. Stop by the full-service pro shop for racket stringing and sales, clothing, balls, demos and more. Kid's camps and youth drop-ins also available all summer!